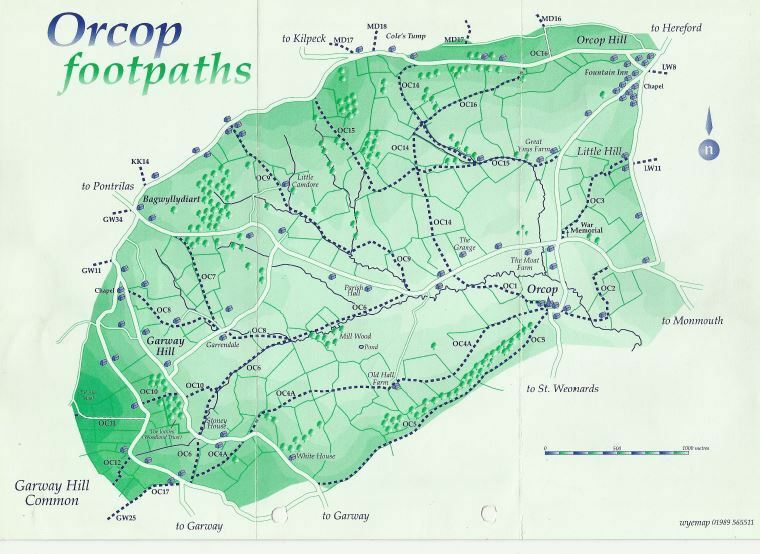 There are 21 km of footpaths in the parish, shown on the map below. They are all sign posted and waymarked and open for public use. They mainly cross farm land and walkers are reminded of the debt of gratitude which we owe to the landowners for their co-operation in keeping these paths open. Walkers are advised to ensure that they have suitable footwear as, in wet weather, the paths can be very muddy. Please at all times observe the country code and, if you find any part of our paths in need of repair or maintenance, please let us know by filling in the form at the bottom of this page.